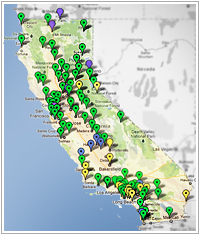 Every superior court in California has legal help available in family law and in small claims cases. Several superior courts can also help you with other legal issues, but it varies between courts. This section gives you information on what types of problems court-based services can help you with and how to find out what services are available at your court. NOTE: For any of these court-based programs, if you do not speak English well, ask for an interpreter. If these programs do not have an interpreter who can help you, bring someone to interpret for you. Do not use a child to interpret for you. If you are disabled and cannot travel to the courthouse to get help from one of the self-help programs, you may email, write or telephone the program you need help from, like the family law facilitator, the small claims advisor, or the self-help center. This may take more time than going to the office for help. To help you, these programs may need copies of documents and other information from your case file, so be prepared for the process to take longer. The family law facilitator in your county may be able to help you in other ways, too. Some family law facilitators can help you with divorce, child custody, domestic violence, and other family law issues. Click for a Quick Reference Guide to the family law facilitator. Or contact the family law facilitator in your county to find out more. The family law facilitator is not your lawyer. He or she works for the court and is a lawyer who can help parents or children who do not have their own lawyer. If you already have a lawyer, the family law facilitator cannot help you. You do not have attorney-client privilege with the family law facilitator. What you say to the family law facilitator is NOT confidential. Both sides can get help from the family law facilitator. The family law facilitator is free. Anyone who does not have their own lawyer can see the family law facilitator. It does not matter how much money you make. To be prepared for how the family law facilitator can help you, read the disclosure form. To read the disclosure form in Spanish. To read the disclosure form in Chinese. To read the disclosure form in Korean. To read the disclosure form in Vietnamese. A copy of any orders or judgment in your case(s). If you do not have your court documents, ask the court clerk for copies. The clerk will charge you a copying fee. The court clerk can also give you the court case number. A copy of your most recent federal and state tax returns. Most counties are required to have a small claims advisor to give free legal information in small claims cases. The kinds of services offered vary from county to county. The court clerk's office can tell you about the services available in your court. The small claims advisor is not your lawyer. Lawyers are not allowed in small claims court and you represent yourself. You do not have attorney-client privilege with the small claims advisor. What you say to the advisor is NOT confidential. Both sides can get help from the small claims advisor. The small claims advisor is free. Anyone who needs help with a small claims matter can go to the small claims advisor. It does not matter how much money you make. Find your court’s small claims advisor (SCA). Not all self-help centers are called “self-help center” but your court clerk will know what you mean if you ask for information on what the self-help center can help you with.